Yasen Georgiev is Executive Director of the Economic Policy Institute (EPI) – a Bulgarian non-governmental organization that aims to contribute to utilizing the full potential of the country by enhancing the competitiveness of its economy and increasing the efficiency of its public institutions. 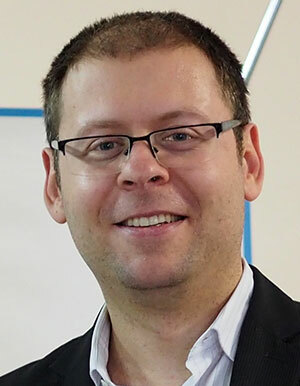 Yasen has been with the EPI since 2006 where he was firstly appointed Research Fellow and then head of the International Projects and Programmes unit. Prior to that, Yasen worked at the Ministry of Defence of the Republic of Bulgaria and Beiersdorf Bulgaria. In 2010-2011 he was selected for a nine-month fellowship programme of the Robert Bosch Foundation (Germany) for young executives from the public sector in Central and South Eastern Europe. Within this fellowship he worked as a visiting fellow at the Association of German Chambers of Commerce and Industry and at the European Policy DG of the Federal Ministry of Economics and Technology of Germany. Yasen graduated in International Relations from the University of National and World Economy, Sofia and in Business Administration/Strategic Management from the Sofia University St. Kliment Ohridski. He participated in extracurricular courses at Ludwig Maximilian University in Munich and the Hertie School of Governance in Berlin.